Sibelco Europe is a world leader in industrial minerals with more than 200 production sites in 41 countries. Our partnership with Sibelco began in 2013 when we were contacted to recommend improvements to their supply process. By monitoring the way Sibelco’s bulk bags were being filled, stored and transported, our team of technical experts were able to scientifically analyse and propose methods of optimising the entire process. Cliffe Packaging first focused on the bulk bag with the biggest usage and was able to develop several solutions that achieved significant improvements. improve impact on the environment, with fewer bulk bags required for the same tonnage, and less waste at the end of the supply chain. 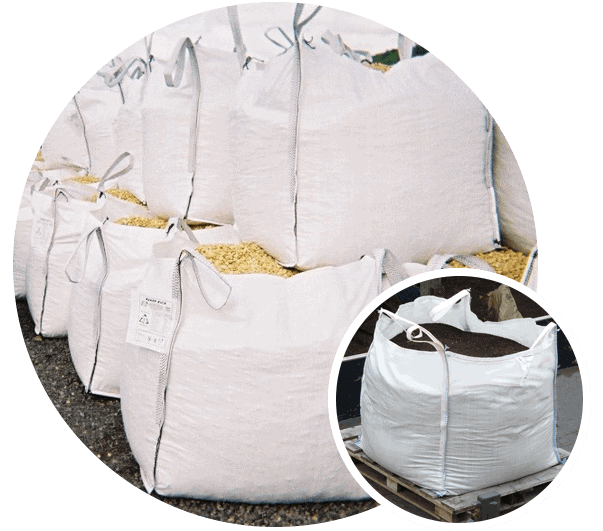 Sibelco’s bulk bags were previously specified to be reused with a safety factor of 6:1 (six times the safe working load). However, returning the bags is not cost effective with deep sea export; hence Cliffe developed and tested bags for a single trip option with a safety factor of 5:1. With the reduction in fabric weight, Cliffe Packaging helped Sibelco to not only lower bag unit cost, but to also reduce their environmental impact. Today Cliffe Packaging continues to work closely with Sibelco to deliver value to their business.